Corporate domain strategy is not just something for your IT department to worry about anymore. There are tangible business opportunities (and cost savings) that arise from (1) becoming knowledgeable about the landscape and (2) sharing this knowledge between departments as you tailor a strategy to fit your needs. Technically speaking, domain names are just strings of alpha-numeric characters that point computers to web servers. So, naturally IT plays a central role in any domain strategy. But in today’s global attention economy, domains are so much more than alpha-numeric lookup tables. From the perspective of awareness and trademarks, they are the foundation of your company’s online presence. Domains have become important enough that they should be thought of as virtual real estate. The domain landscape has changed significantly over the last five years, and is likely to go through even more changes in the next five. Amongst all the complexity, two things have become increasingly clear, while having a domain strategy does mitigate negative risk, the potential rewards that come with an integrated approach to domain management are simply too great to ignore. To get a sense out of how much things have changed, just take a look at the explosion of TLDs. In 2011, there were only 21 gTLDs (this included a subgroup of more than 250 ccTLDs). Over the last three years that number has ballooned. According to ICANN, over 550 gTLDs have been added since Oct-2013 alone. 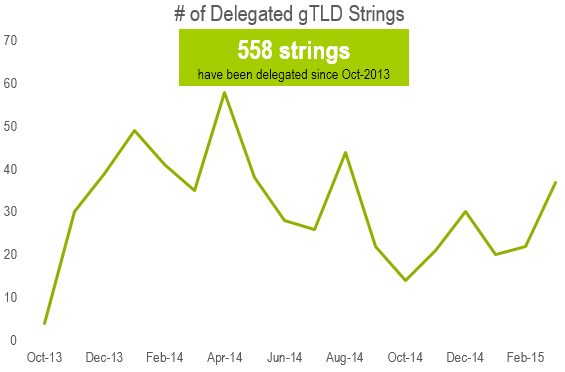 Nearly 200 entities received delegated gTLD strings in the last year. And while the majority only purchased a single gTLD, 19 purchased more than one. The radical change in landscape means that clarifying the business case for domains, and monitoring the web for third-party infringement has never been more difficult. On the other hand, the proliferation of possible domains creates a unique opportunity for targeted messaging, integrated infrastructure, and the growth of your company’s online real-estate. 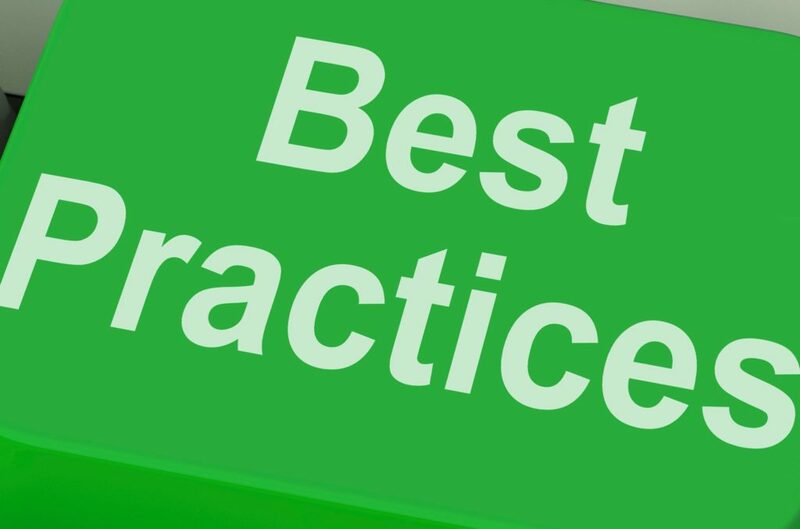 To state it simply: If the initial process of your domain strategy is deeply integrated, it is easier to mitigate risk and take advantage of opportunity. This kind of integrated approach requires a clear corporate hierarchy for budgeting and purchase request approvals. It is recommended to create an ad hoc domain committee (or standing one if need be) with representatives from the following departments: executive, legal, technical, marketing, and public relations. A little technical background can clear up a lot of confusion concerning domain names. This graphic details the parts of a URL and a domain and will help with some of the vocabulary used in this post. The domain name itself is the part that corresponds to a unique IP address. Web traffic is choreographed by the Domain Name Service (or DNS), which is responsible for keeping track of domain names and their corresponding IP addresses. When a computer requests a domain name, it is directed up the DNS hierarchy until the corresponding address is found, and the connection established between server and computer. The first step in developing a domain strategy is the consolidation of domains. The recommended approach in this blog is to create a centrally managed domain portfolio (this can be done through a third-party vendor or depending on the number of domains in your portfolio you may want to do it in-house). A centralized portfolio creates an agile business environment. Without a centralized portfolio, it can be difficult to keep track of administrative and technical contact information, renewals, and payments. If billing and contact details are managed poorly, or without the guidance of a company-wide policy, domains can expire, and be purchased by other companies or squatters; or privileges can be revoked due to inaccurate company information. The loss of high-traffic or otherwise important company domains can have serious consequences, and in the instances mentioned above are 100% avoidable with proper management. When implementing a centralized domain portfolio, it is important to standardize and automate certain elements of domain maintenance and upkeep. Important domains should be locked at the registry level so that no unauthorized changes can be made. Simple things like locking domains, or setting important domains for auto-renew can save big headaches down the road. Protecting existing domains is the first line of defense against brand abuse. Infringement: Follow the best-practices for domain security for pursuing infringers who are guilty of cyber-squatting, typo-squatting, hacking, and/or phishing. 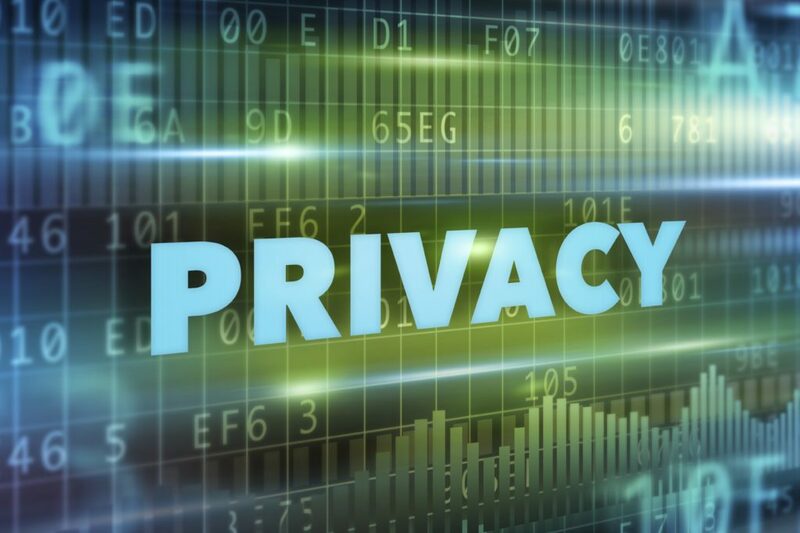 Acquisition: Third-party monitoring also allows companies to purchase desirable domains that come available from registrars (either because another owner has let the domain expire, or because a new kind of domain has been created). Tip: When choosing a vendor, choose one which has options for monitoring that fit your domain needs. Some things to consider: regular monitoring of desirable third-party domains that have expired; reports on third-parties; reports on internally held domains; capacity for zone file searches. Purchase important domains for the longest period allowed, which is usually 10 years. Also, set long-term domains for auto renewal, so that no effort is wasted on renewing when the term has expired. Contact information for the following should be standardized (administrative technical, and billing—all of which appears in public database known as the “WHOIS” record). Depending on the corporate infrastructure (centralized vs. decentralized), the same contact information could be submitted for every domain in the portfolio; or the information could be specific to business groups or subsidiaries. Whether you follow a centralized or decentralized model, the goal is to make sure that the contact information is accurate, up to date, and that it reflects the operational hierarchy of its management group (i.e. the person(s) who receive the communications should be able to understand the big picture, and have the authority to respond). Tip: It can become problematic to use personal contact information in the case that an employee is transferred, or leaves the company altogether. Often it is best to use an alias (domain.admin@example.com) so that an appropriate person(s) can always have access to important communications. Centralized budget with centralized approval. Under this option, both the budget and approval may be centralized with the global head office, and little or no involvement is required from any regional offices. Centralized budget with decentralized approval. In this case, while the budget is centralized, the actual approval of invoices may be carried out by regional offices, which carried out the registration orders. This option would require careful co-ordination between the offices as the invoices would be sent to the head office and be farmed out to the regional offices for signature. Decentralized budget with centralized approval. A reverse of the first option, in this case the regional offices would hold individual budgets for their territories, but payment must be authorized by the central office. Decentralized budget with decentralized approval. Here, invoice approval would be carried out by a number of different offices. It may be that each regional office receives, approves and pays their own invoices relating to their territories. 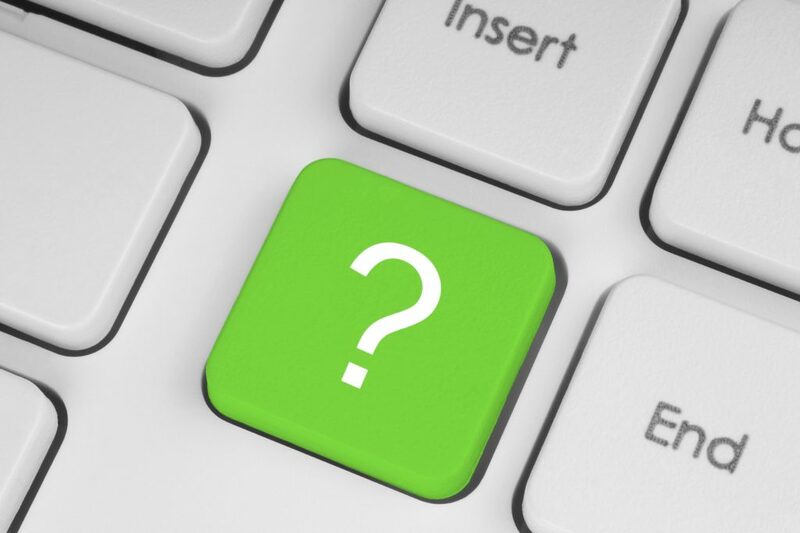 For how long should a domain be registered? Where should it point? Who is responsible for updating the content for the site? Who is responsible for determine whether company domains are branded appropriately (this would include acquisitions, subsidiaries, business groups, and domains acquired through mergers)? In trying to answer these questions it quickly becomes apparent that domain management is about more than just technical infrastructure. It involves a comprehensive business strategy, in which corporate goals are facilitated through integrated planning and communication between departments. A company that can align its domain infrastructure (buying, managing, and maintaining its domains) with its operational business strategy (marketing, PR, etc.) is ready and able to thrive in the 21st marketplace. The old adage “location, location, location” now refers to virtual real estate as well as brick and mortar—and in this space, an integrated, online business strategy will put your company at the leading edge of online evolution. In order for an integrated online business strategy to be effective, corporate leadership needs to support ongoing innovation in three areas: technical infrastructure, corporate infrastructure, cross-department collaboration. With a consolidated portfolio and central registry (see above), your technical experts will have access to all the company’s domains. This technical infrastructure becomes the foundation for the corporate domain infrastructure and increased collaboration between departments. To review, centralized management simplifies the domain name infrastructure within a corporation. This reduces the burden of domain management (which previously had been spread over multiple departments and individuals), and so maximizes the value of existing domains (by ensuring that active domains point to appropriate sites, and standardizes upkeep on domains so that their content is current and appropriate.